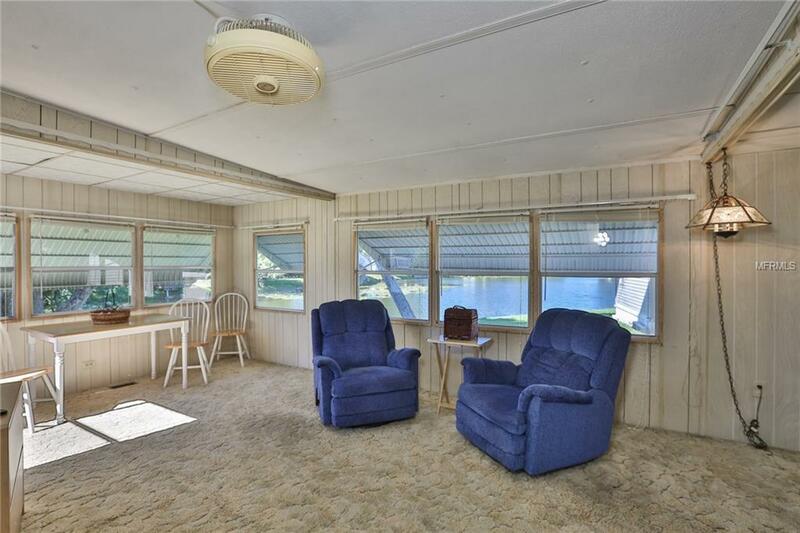 WATERFRONT home in desirable Lake Placid M/H Park; a 55+ Resident Owned Community is now available. With beautiful water views and your own orange tree, this home offers newer windows and doors, 2-wing extensions making the living room open and spacious, a generous kitchen with an eating area, a workshop (includes tools too) and is located at the top of a cul-de-sac offering tons of privacy. 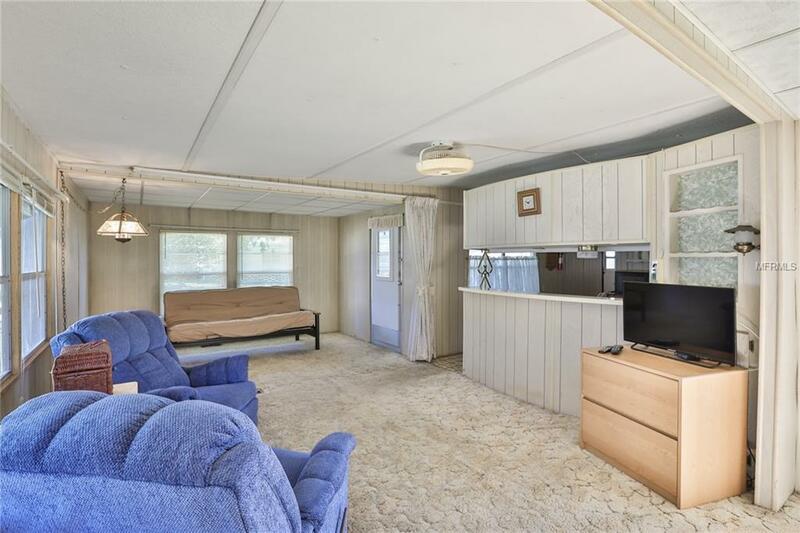 Some furniture is included. It is in need of sprucing up and updating, but location, location, location! 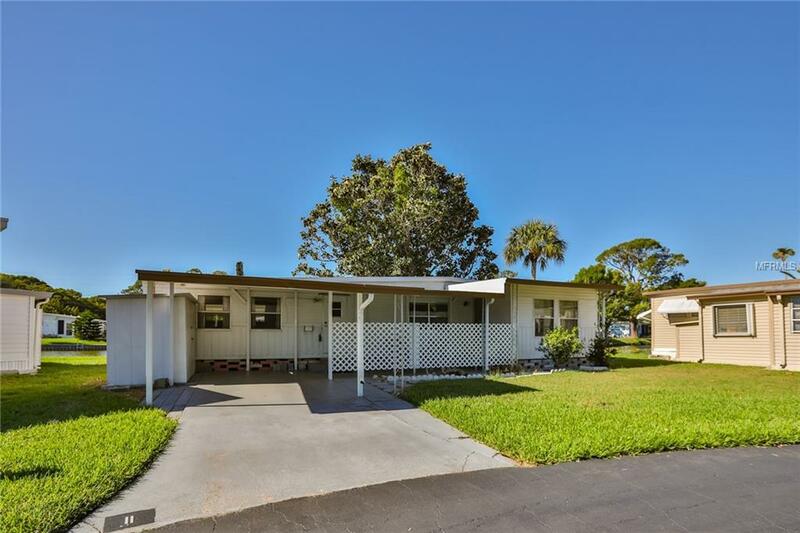 Great retirement opportunity!JUST A FEW MILES FROM OUR BEAUTIFUL BEACHES, Lake Placid M/H Park is an active 55+ community, close to the Pinellas Trail, golf, shopping, library, beaches, restaurants and public transportation. 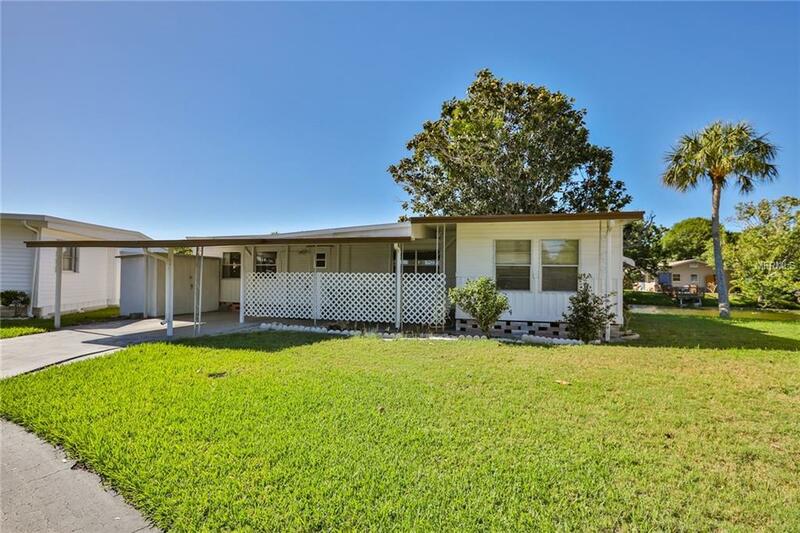 Price includes one Share in this resident-owned community. LOW MONTHLY HOMEOWNER'S FEE! Additional Water Information Catfish Turtles & Regional Water Birds. Kayaks & Paddle Boats Welcome. Pet Restrictions Currently Only Service / Emotional Support Dogs With Proper Certification Documents Are Allowed. One inside Cat is Allowed.